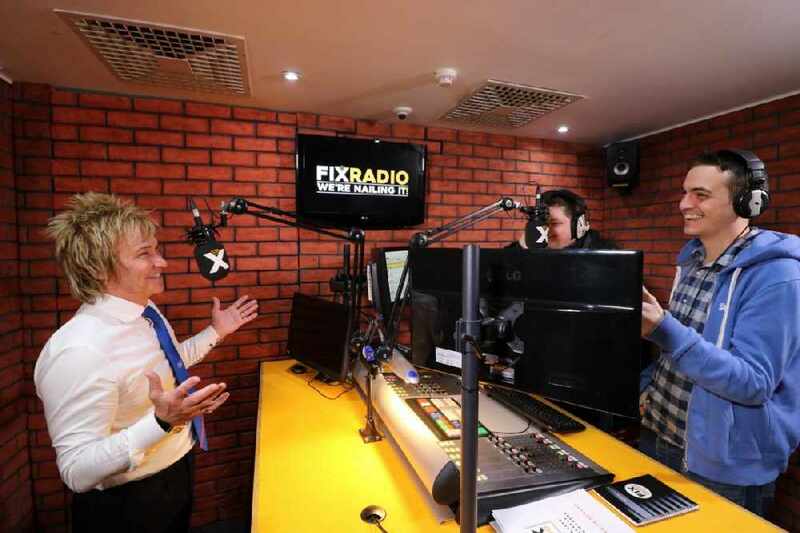 FIX RADIO is the only radio station in the UK dedicated to 'working class heroes' - the tens of thousands of tradespeople working on sites and in people's homes. We're for builders, carpenters, electricians, plumbers, roofers, painters, decorators, scaffolders - in fact, anyone who makes their living in the trade. You can hear us on DAB radio in London and nationwide via this website, our iPhone and Android apps along with the RadioPlayer and TuneIn Radio apps. You'll love what we do - we play a massive variety of upbeat music from the 70s, 80s, 90s, 00s and today - and there's loads of fun and banter from our cheeky DJs! Because you listen to the radio all day at work and hate the same boring old songs being played over and over again, we have a no-repeat guarantee. Between 6am and 6pm every day, we guarantee you won't hear the same song twice. We also know the weather is important to those of you who work outside, so we have London's most detailed radio weather forecast from the Met Office three times a day. Fix Radio launched at 7am on Wednesday 26th April 2017. The world's richest plumber - multi-millionaire Charlie Mullins, founder of Pimlico Plumbers - pressed the button to play our first song, the 80s classic 'We Built This City' by Starship. We know you work hard - and we're working hard to live up to our motto - "We're Nailing It!"